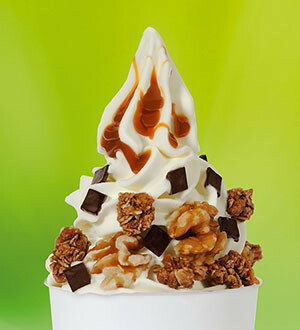 Monkifrüz es una marca de Inversiones Criquet S.A.
We specialize in the sale of frozen Frozen Yogurt & Soft Ice Cream by means of franchises, as well as complementary products, all developed and made exclusively for Monkifrüz. In 2012 we started with the research and development of mixtures and bases: soft ice cream, frozen yogurt, cold coffees, fruit frappe, slush, chantilly cream, toppings and jams, then market them together with the sale of ice cream machines and slush, and other equipment that we represent for the elaboration of the different products that are prepared and sold in our Monkifrüz stores. Our mission is to achieve an excellent flavor in each of our products, with high nutritional and nutritional values; that provoke in the consumer the best experience in flavor and texture, enjoying them to the fullest. For this we use the best raw materials, with high standards of quality and safety and a policy of constant improvement. Our products are friendly in preparation, easy to store and with a long service life. If this is your business Claim it!